Nonsensible Shoes: So Kavanaugh is happening. 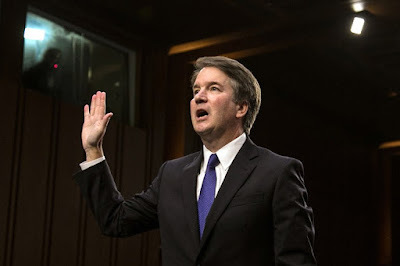 I have not posted much about the Brett Kavanaugh Supreme Court process for two reasons; (1) I have been very busy and not posted much and (2) it's been a farcical circus and in the end, he will be the next Supreme Court justice. Period. No Republicans will break ranks, including flaky Flake, Collins and Murkowski. They will all vote to confirm Kavanaugh. We might see a Democrat or two vote in favor of Kavanaugh (e.g. Manchin) but I'm not holding my breath because it doesn't really matter. This is purely political theater meant to impress voters on both sides of the political spectrum by the prospective parties. Republicans look to have benefited more from the process than Democrats, who came off as obstructionists in a purely partisan way. Some polling bears that out. All that said, Kavanaugh will be confirmed today but the real implications are much broader than just him. (1) Do not expect future nominations to get broad approval the way previous Democratic nominees like Ginsburg did. With the nuclear option having freed up senators from bi-partisanship expect bitter political battles for every nominee going forward, regardless of party. The Democrats have sewn the seeds of political motivation in Republicans by their unnecessary and nefarious actions on Kavanaugh. For proof just look at the recent angry outbursts of political milquetoast Lindsey Graham. 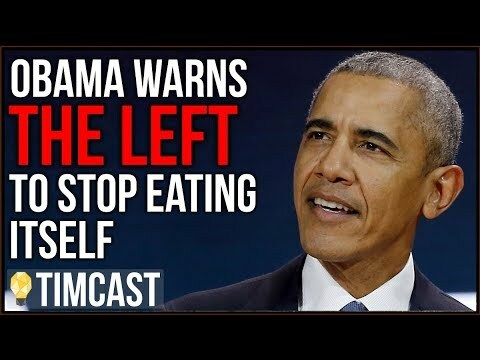 To push him to this, you know the Democrats have gone about 30 steps too far. They will reap eventually what they have sewn when the next Democrat president tries to nominate anyone. (2) The same is true for Republican leaning voters - they have had enough and may have been energized enough to not only thwart a blue wave, but maybe hold the line in Congress or even make small gains. (3) President Trump will likely have another nomination to make during his tenure, especially if he is likely to serve two terms. The court will drift further back towards originalist judges. That is clearly a healthy thing. But prepare for all-out open warfare from the Democrats when that happens. To date their actions have been covert thanks to a complicit media. But that cannot last when there such an absolute division in the country and in the Capitol. There will be more fallout than just that, but that alone is enough to make this a dramatic turning point in the country's history.